Lennox, a French Bulldog came in to the clinic to get neutered. 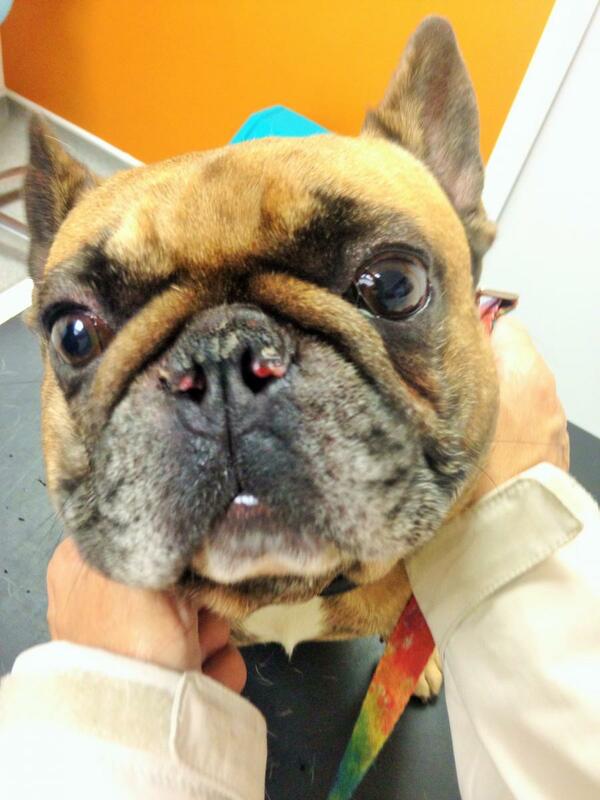 During the pre-operative check, our Vet Richard noticed, like in most bulldogs, he has stenotic nares. This a condition common to flat nosed breeds, which means that there is very little room around the nostril making it harder for them to breathe. This condition was contributing to Lennox’s loud snoring! Richard also offered to resect (cut) some of his nose to widen the opening and hopefully make it more comfortable to breath. The operation was carried out by our Vet Hattie, it went really well and in final post-operative check Lennox’s breathing was better and his snoring had also lessened with his wider nostrils!